When I was student (2003-2009), my classmates and I didn’t have any Graphic tablet at school to practice on. The first tablet I put my hands on was an humble Graphire* from Wacom I bought from the IT store. I was so happy to make my first steps on digital that I doubled my walking speed to go back home. I imagined myself doing sketches appearing on the screen like the pros! But, I was quickly stuck. I didn’t know which software I should use with and how ? Haha ! Disappointed. 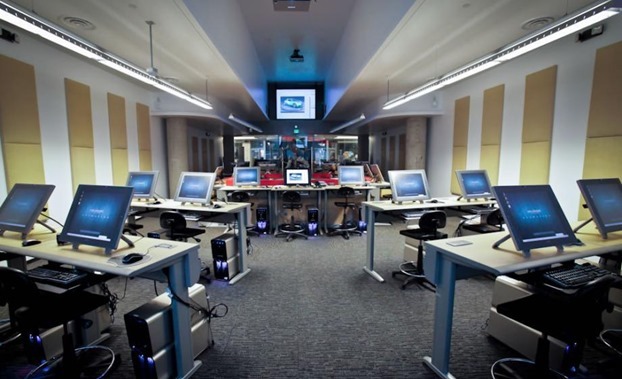 Nowadays, I see some of you guys having schools providing a Computer lab full of Wacom Cintiq! My gosh ! I can’t hide that I am super impressed. Lucky boys and girls ! Q:/ I don’t know (yet) how to draw. Should I invest in Digital material ? There is awesome designers who don’t know anything about digitals. However, these tools are now widely spread in the industry. You will be expected to master them. So, yes you should. 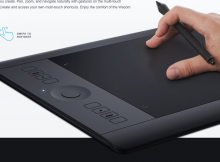 You may have a great Wacom Cintiq at school, the opening time and availability are limited. 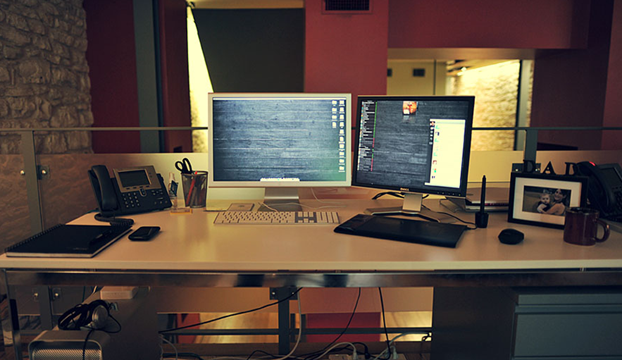 So I recommend you to set up your own work station at home. You can spend long hours at sketching, sometime overnight and let your imagination having fun without disruption. Q:/ Will I draw better with a Graphic tablet ? Basically, no. A tablet is just a tool. It won’t make you draw better if you can’t draw on paper. Vice-versa. draw better if you can’t draw on paper. Q:/ Should I start learning sketching on paper or digital ? I have a huge preference for paper. 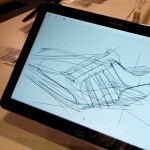 But you can start sketching with both – Note that some student become addicted to digital. 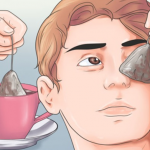 They cover their mistakes with some Photoshop tricks – and get comfortable to the extend that they never improve their sketching skills for years. On paper you can’t UNDO or erase. It forces you to draw with more focus. Q:/ Which tablet should I get ? It depends a lot about your budget. Note 1: You can get great results with both following types. Wacom brand is the best and safest choice. Designers keep their tablets for years. I believe they are indestructible ! There is multiple size available. 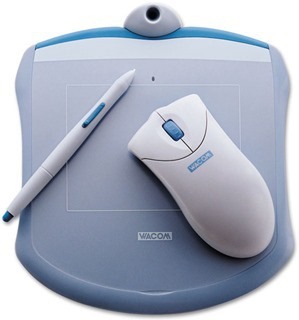 You may have a look at the Wacom Intuos series. The minimum size I recommend is the Intuos Medium with an active area of 224 x 140 mm. I didn’t have the opportunity to try other brands than Wacom. If you guys have some experience with them, I would be glad to receive your recommendation in the comments. The minimum size I recommend for Wacom screen tablet is 15”. Note 2: Some of you may say What ? 15” Wacom tablet ? I never heard about it! 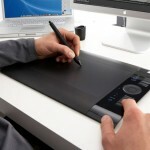 You may have a look at: How I get a Wacom Screen tablet cheaper than a Cintiq? Note 3: I am not fan of the Wacom Companion, even though it’s built to be mobile. In fact, the life battery is too low, it’s heavy and the precision of the pen is not that great on the edges of the screen. Q:/ What software to begin with ? There is only 2 software you should focus on: Sketchbook Pro and Adobe Photoshop. Easy to use ! The digital pencil you draw with is super closed to reality. It’s a real pleasure. Available in multiple platform: Windows, Mac, Ipad, Android. For tablets, I recommend to use it on Samsung Pro Note instead of Ipad, the pen is so much better !! TIP: To save faster, use the keyboard shortcuts. Your left hand’s fingers should always be around these keystrokes. Make it a habit and you won’t forget to save. To be honest, Photoshop is overwhelming. 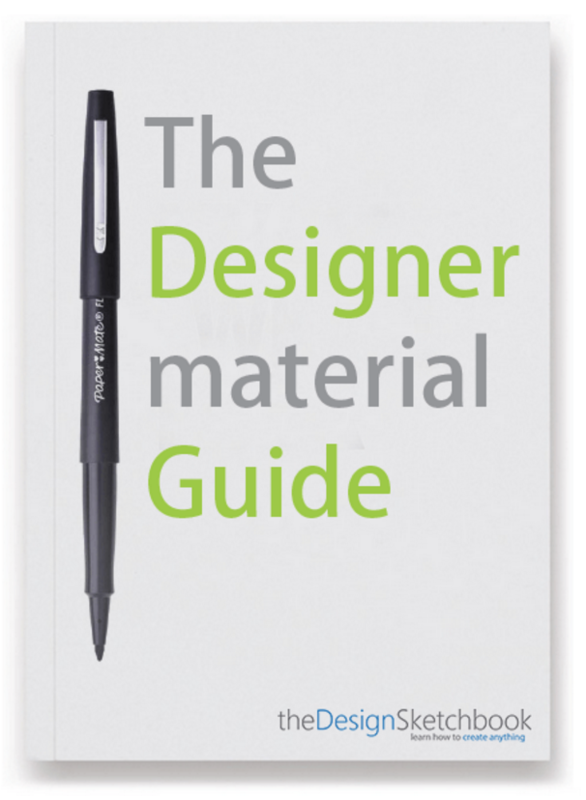 But you will need to master it for rendering your projects. I show you how to parameter the pen pressure on Photoshop in [Video]. Anyway, the first software you should start with is Sketchbook Pro. It will boost your confidence. Photoshop CS2 (older version, yet super efficient) can be downloaded for free on Adobe website. You just need to create an Adobe account. Don’t get me wrong. I don’t say “Don’t use any other software”. But don’t spend too much time at experimenting new stuff. Why ? All these new interfaces will distract you. It takes time to get used to a software and making new habits. Keep focused, you will progress faster. Q:/ What workflow do you use ? Q:/ What else do I need ? I highly recommend you guys to work with a dual screen set up. 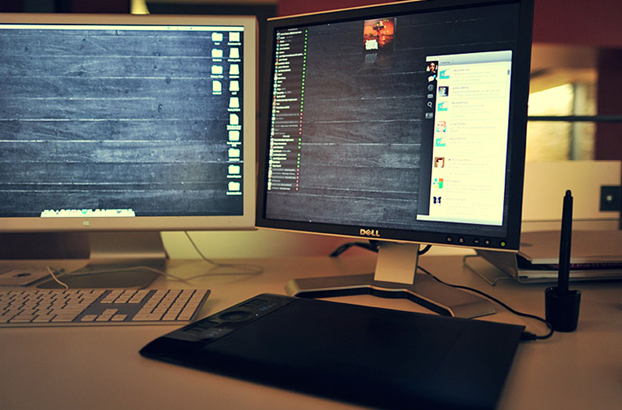 When I used to have one screen, my Photoshop tools was always in front of my artboard. I constantly pressed Tab to hide them. The day I added a screen, I simply dragged my toolbar to the second screen. The second screen is great for making research of images that you can save or drag and drop to your Photoshop artboard. Note: You don’t need to buy the latest screen on the market for the second one. I set up my own work station with Ikea furnitures to welcome my Cintiq 22HD Touch. You may have a look at my buying list. 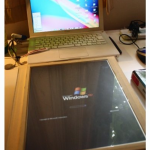 Seams that Wacom tried to be cool like Apple Macintosh. I like to do draw as a hobby and I would really like to improve my skills. I think that getting some digital painting software could help keep me motivated to practice. So, I liked that you talked about how it would be good to find ones that you could put reference photos in. Not sure what requirements industrial designers uses, but Huion H610 Pro is what I have been using, its reasonable priced, has a good area for drawing, so you can use your whole shoulders. Although I haven’t tested wacom, since that’s the mainstream go to tablet for most peoples. But for someone who is on a budget, I think you can’t go wrong with Huion. I use one myself, possibly plan on getting their onscreen tablet in the future. There is also an in-depth comparison of Huion vs Wacom on youtube if anyone is interested in checking that out. 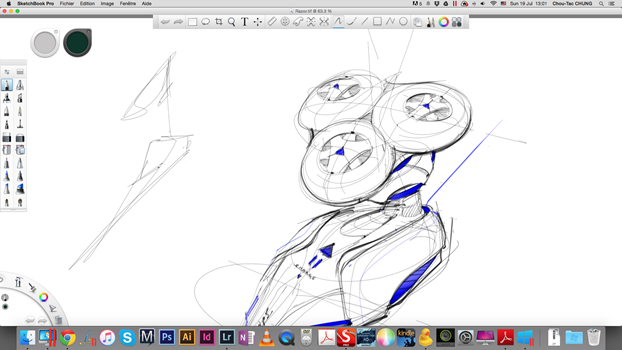 Wacom have a really good pen for Ipad called the Intuos Creative Stylus 2. Here >> http://www.wacom.com/en-gb/discover/draw/art-on-your-ipad which is supposed to be brilliant. Also One key new bit of software you should consider is Mischief. https://www.madewithmischief.com/ Its beautifly simple Unbelivably fast and light and uses vectors in ways you can’t imagine. It is by far the most fluid drawing experience I have had on a computer and if you want to get used to a tablet or just drawing digitally, this is where I would start. I heard about Mischief. I have just downloaded the free version. Pretty cool. As you say it’s very light. The pencil shows some nice grain. That’s sweet.